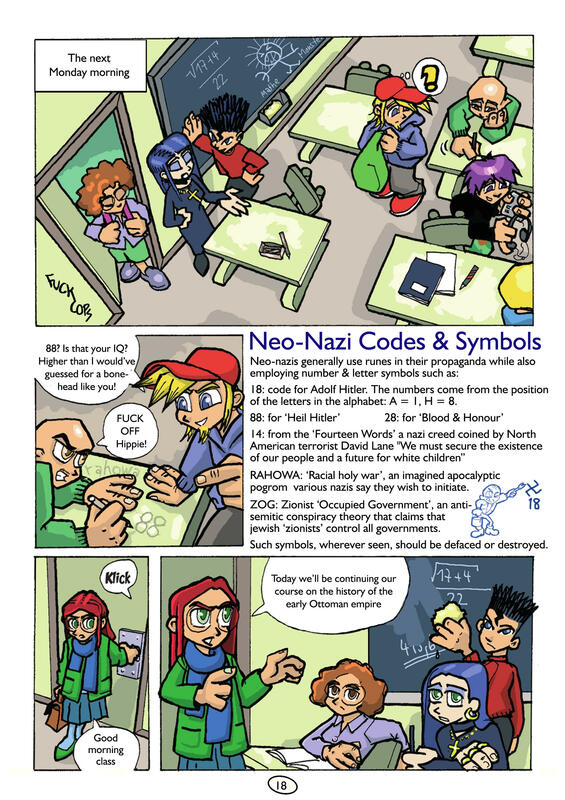 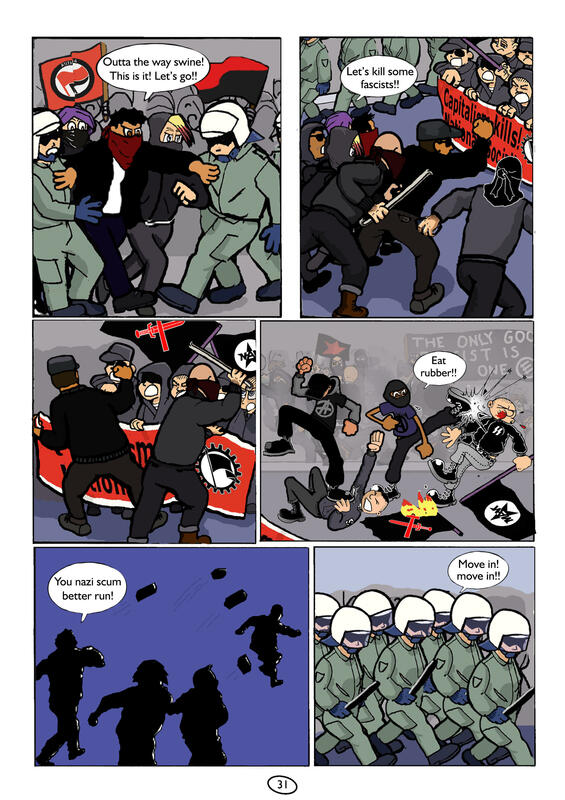 This comic has been put together by some antifascists from the ACAB comix collective. 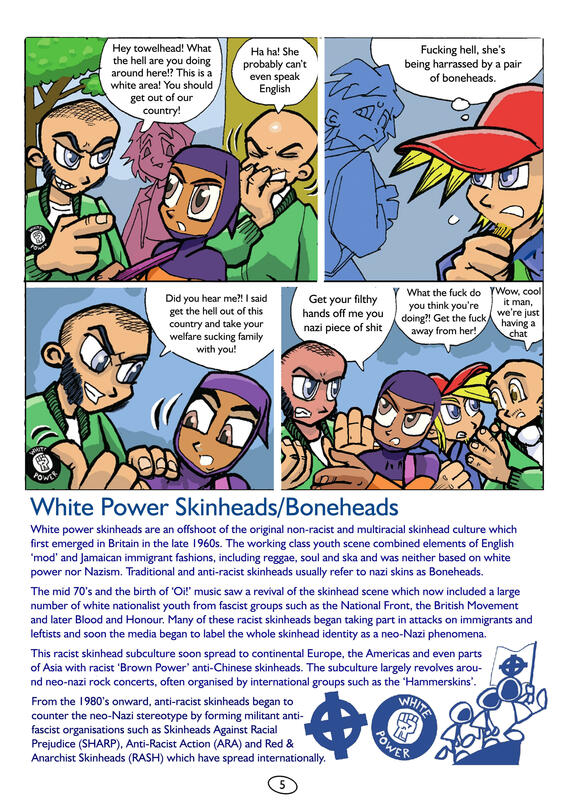 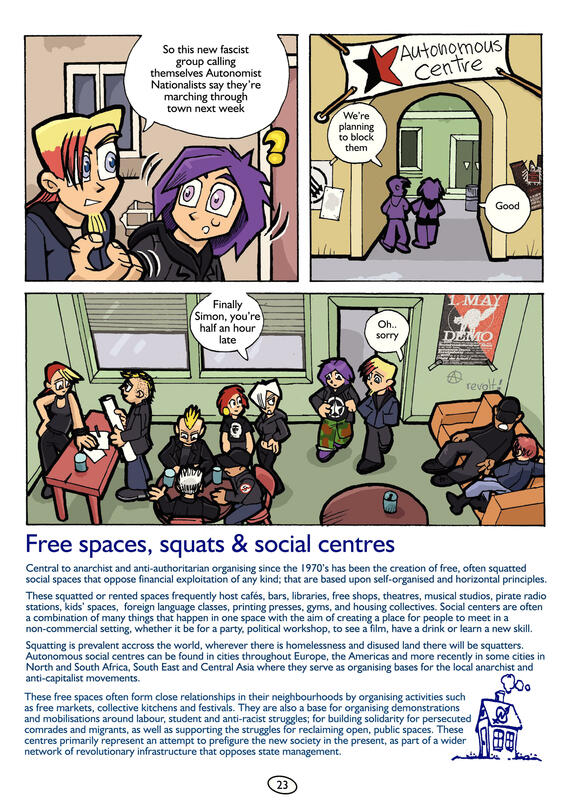 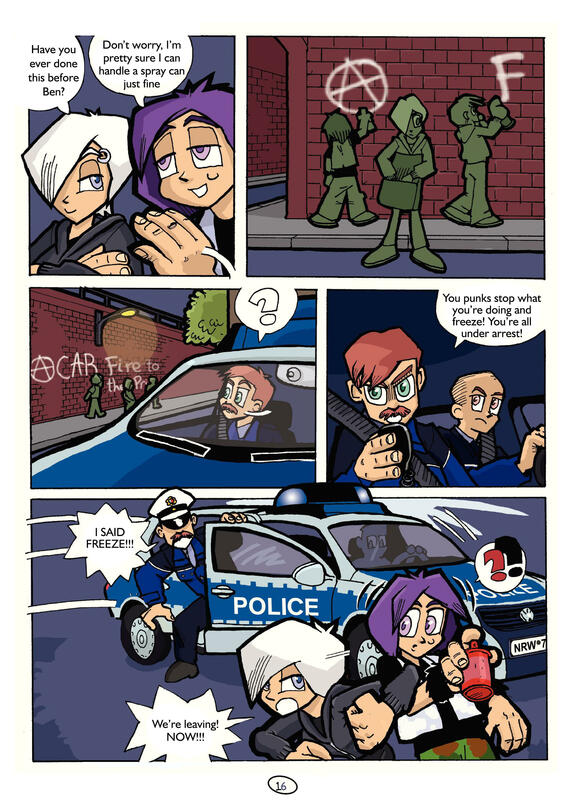 It is a subversion of an existing comic called Andi, commissioned by the German state to discourage young people from joining ‘extremist groups’. 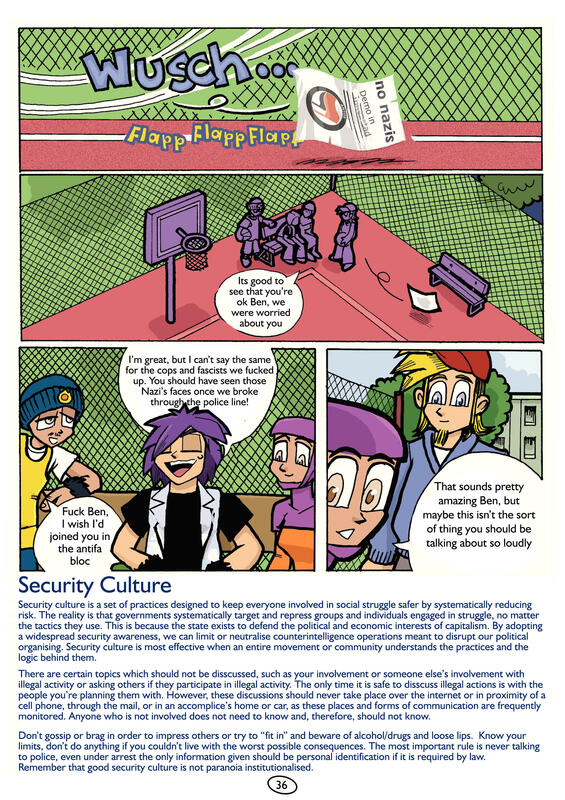 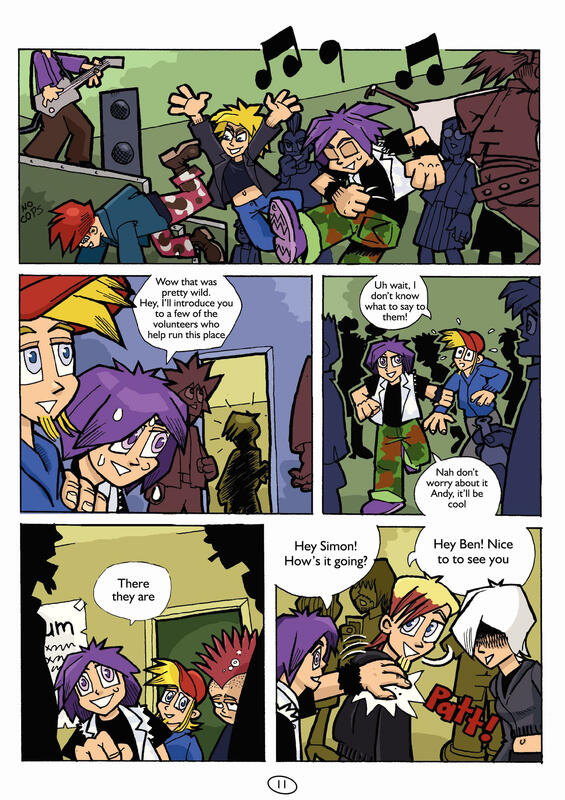 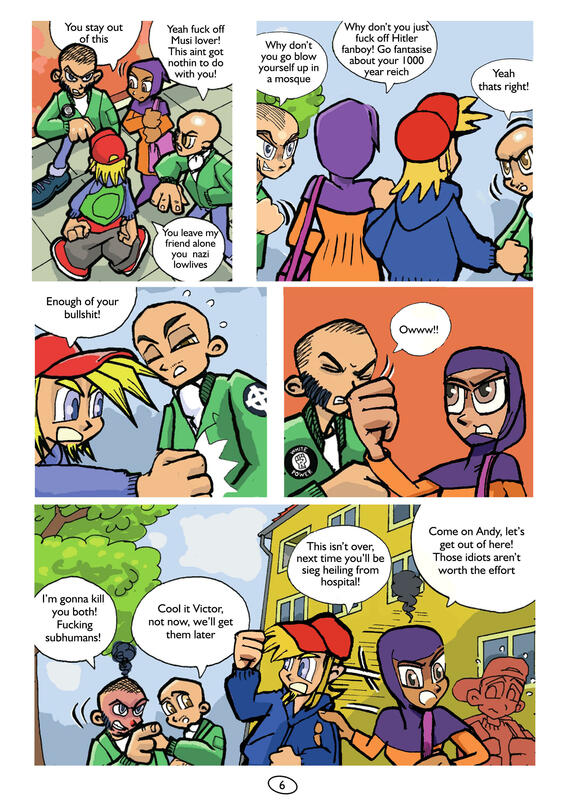 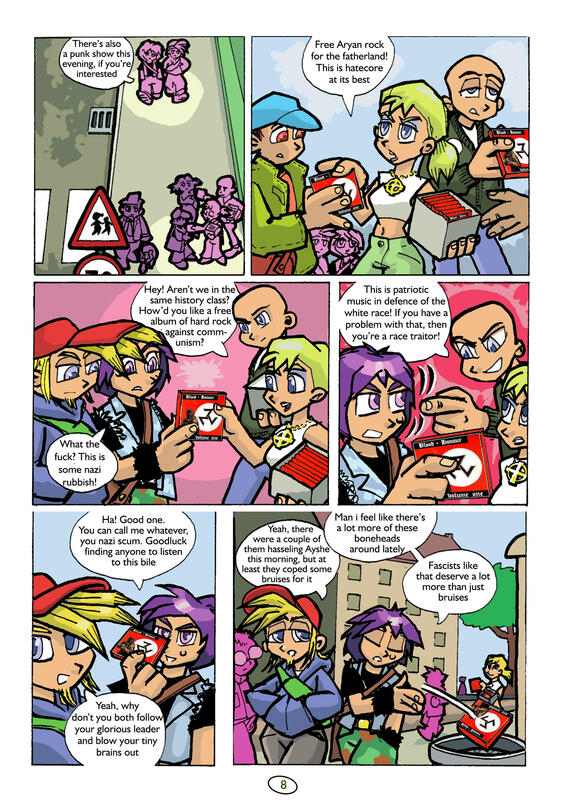 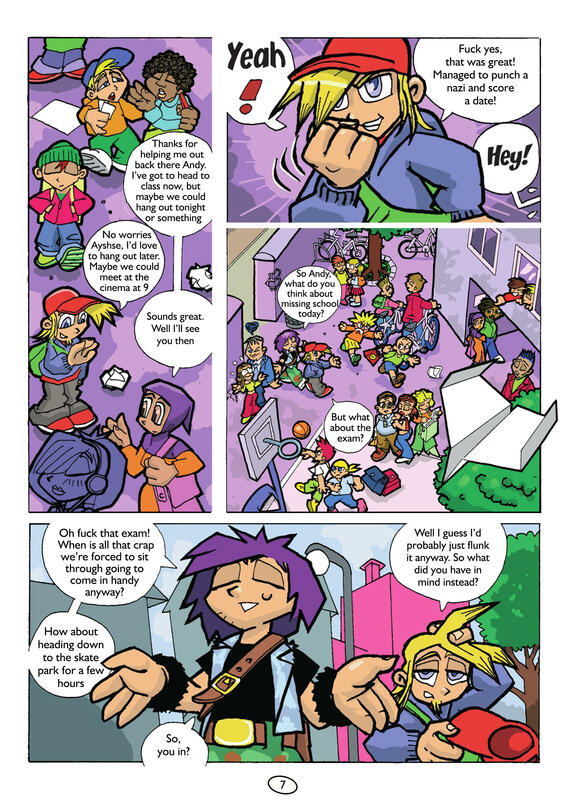 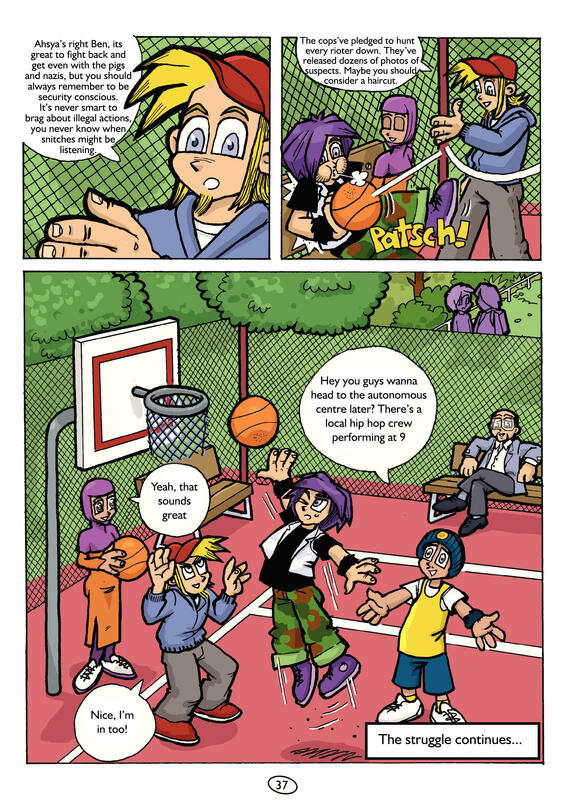 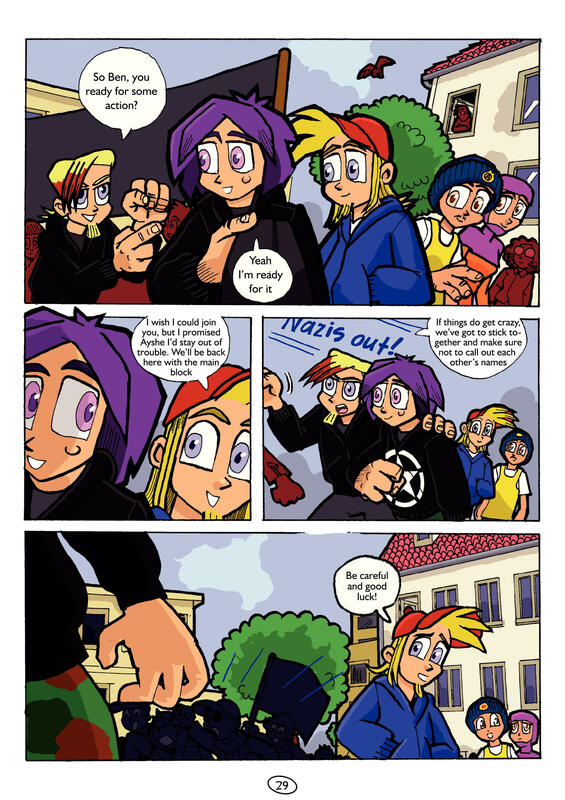 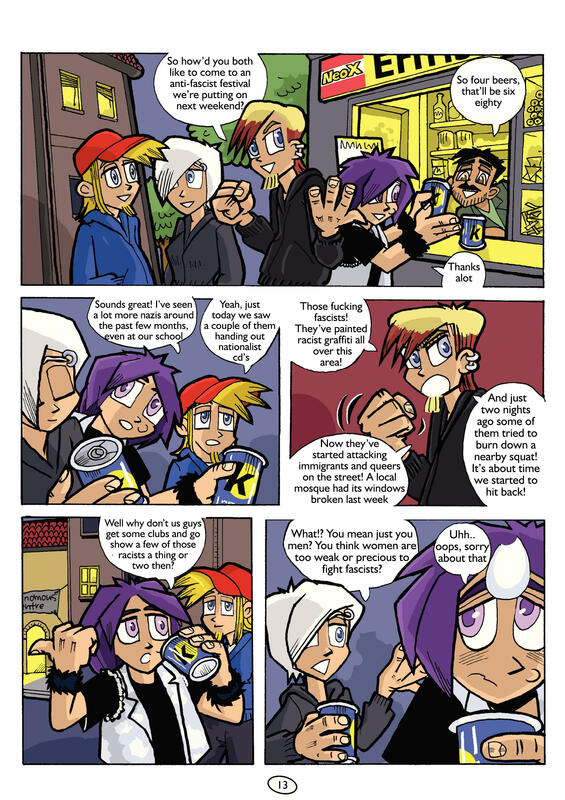 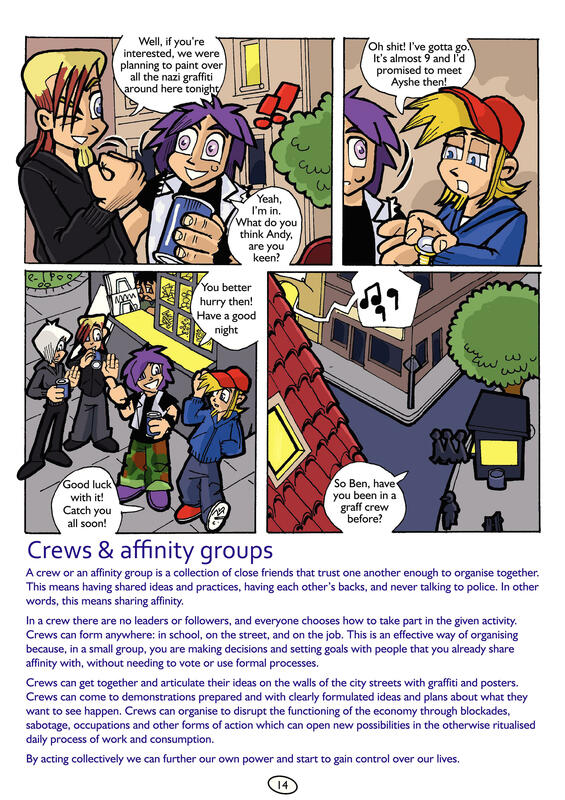 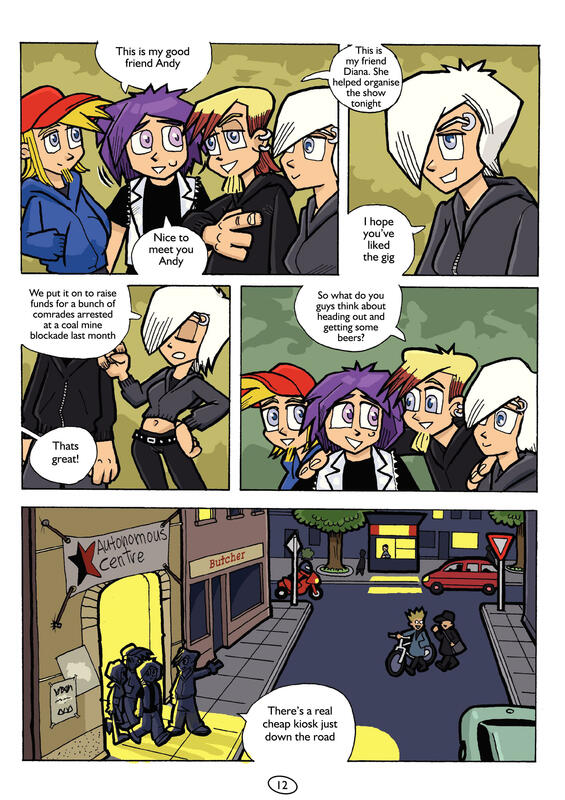 There were three different Andi comics produced and distributed to teenagers through their highschools. 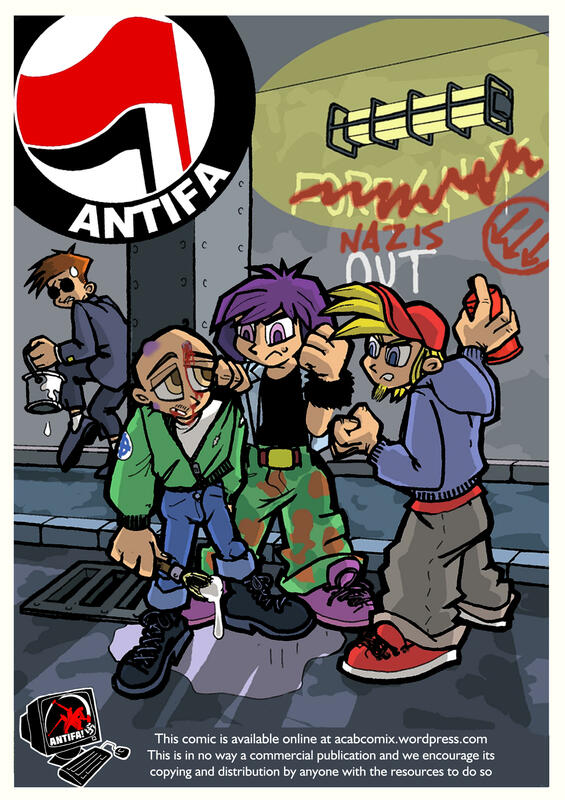 One was about neo-nazis, another about islamists and a final one was devoted to slandering the anarchist/autonomist movement. 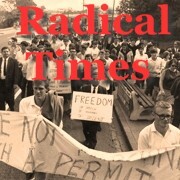 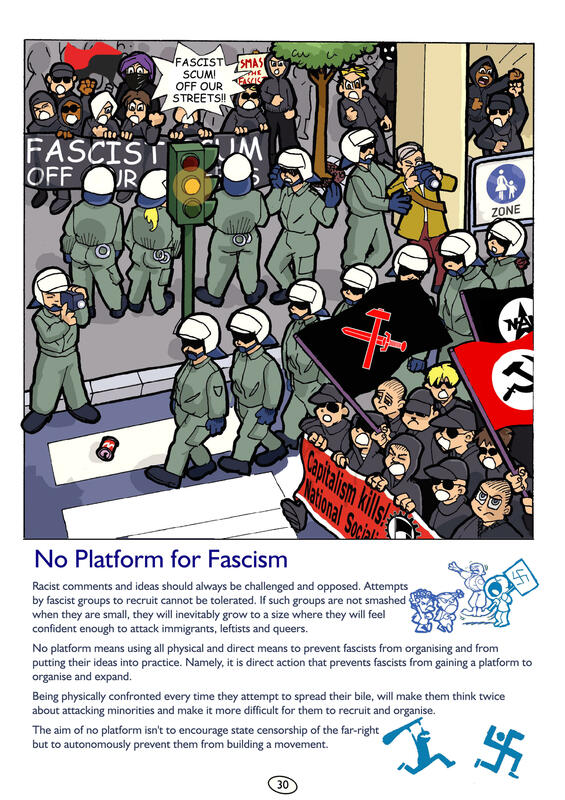 The state’s purpose was to equate these radically different and opposing movements by lumping them under the ideological umbrella of ‘extremism’ as counterposed to the authoritarian normalcy of capitalism and parliamentary ‘democracy’. 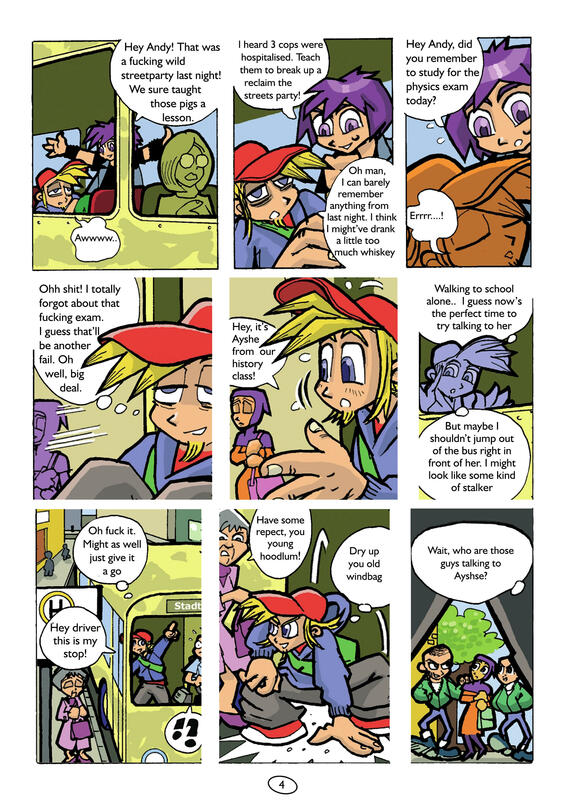 We have altered most pages and changed the dialogue. 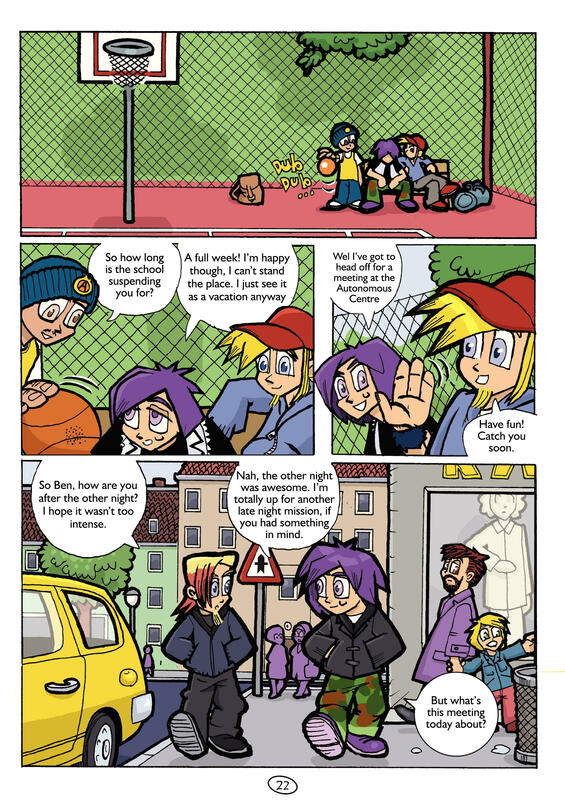 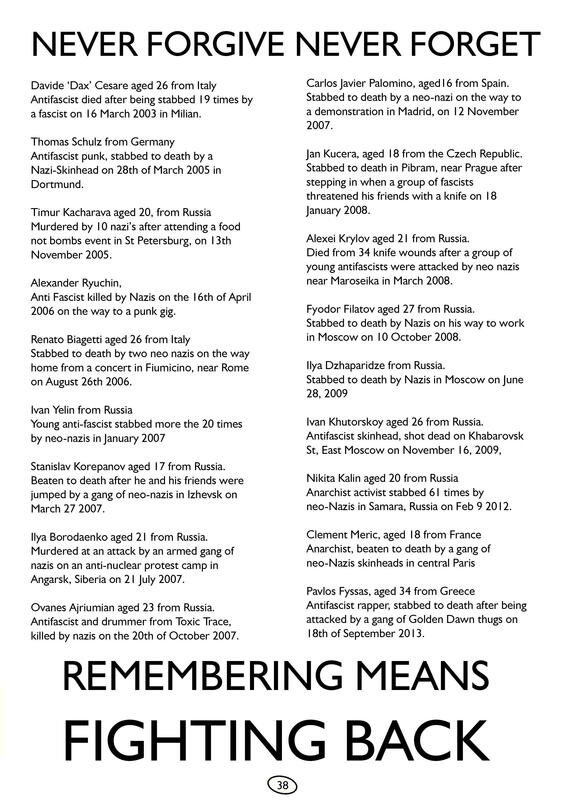 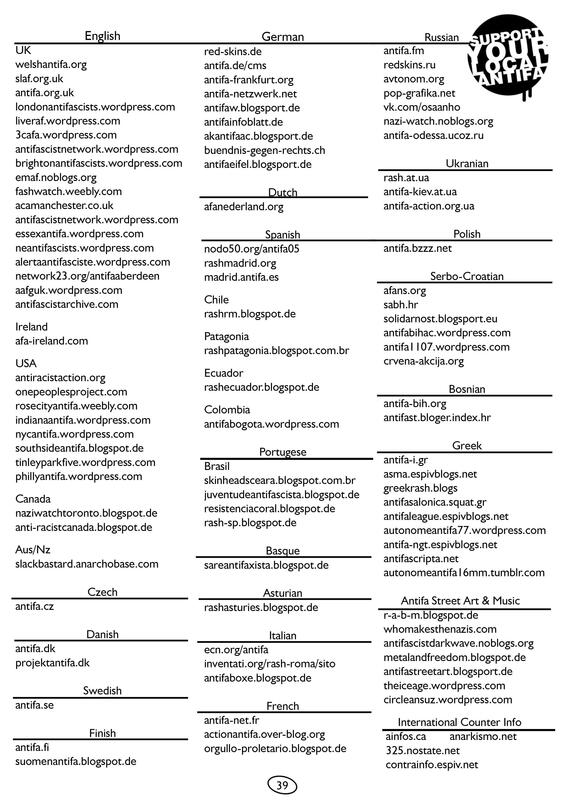 It has been written in English to be accessible to a wider audience and the story is not necessarily set in Germany. 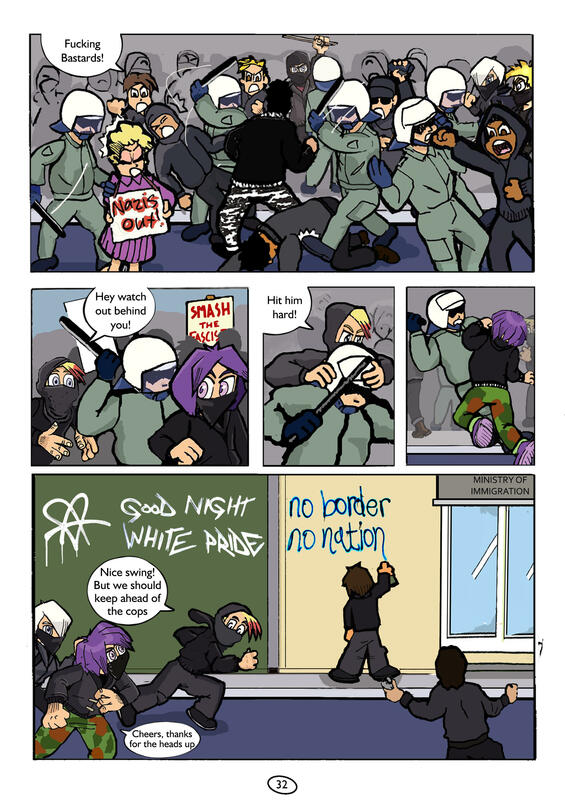 The settings and situations portrayed could take place in almost any ‘Western’ city. 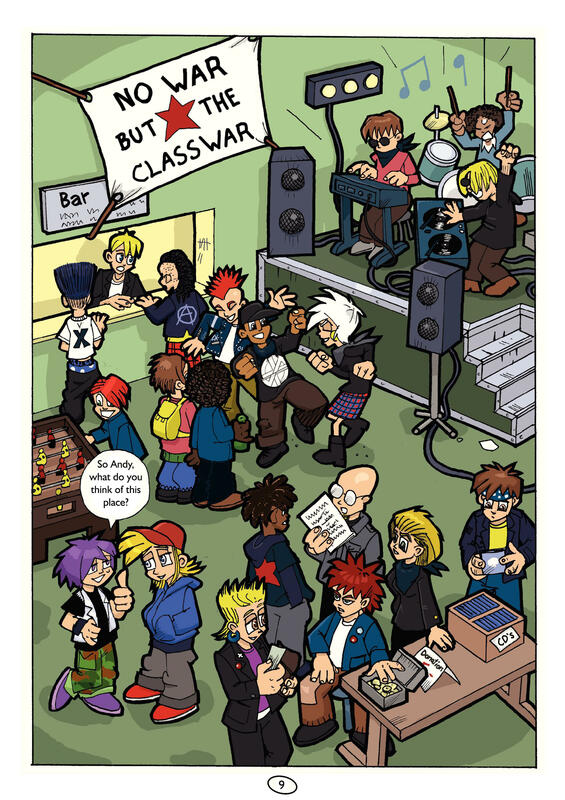 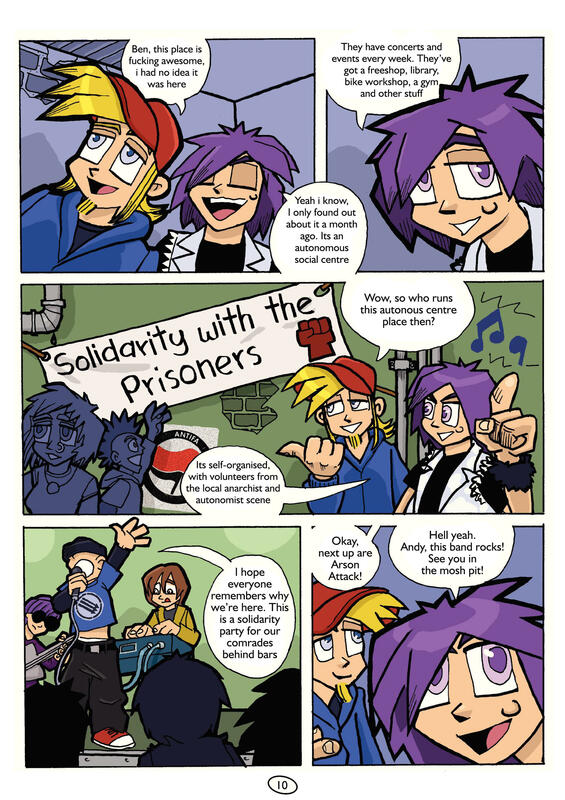 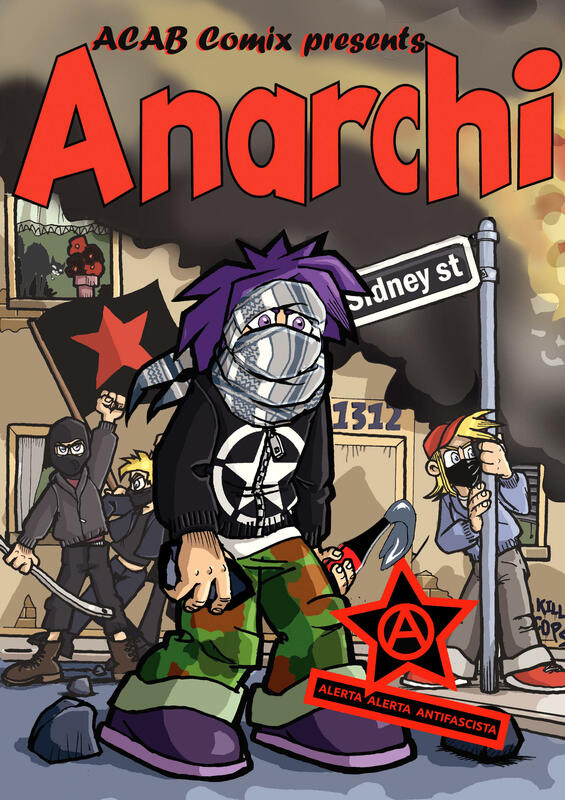 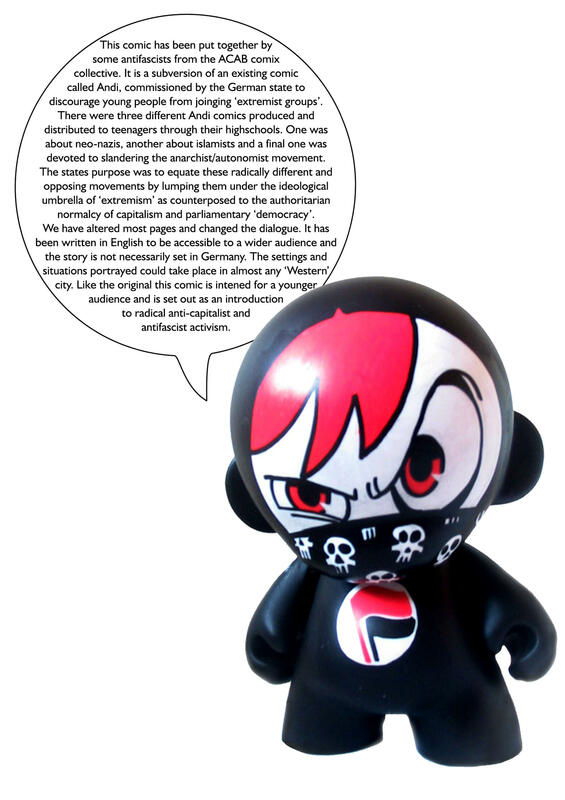 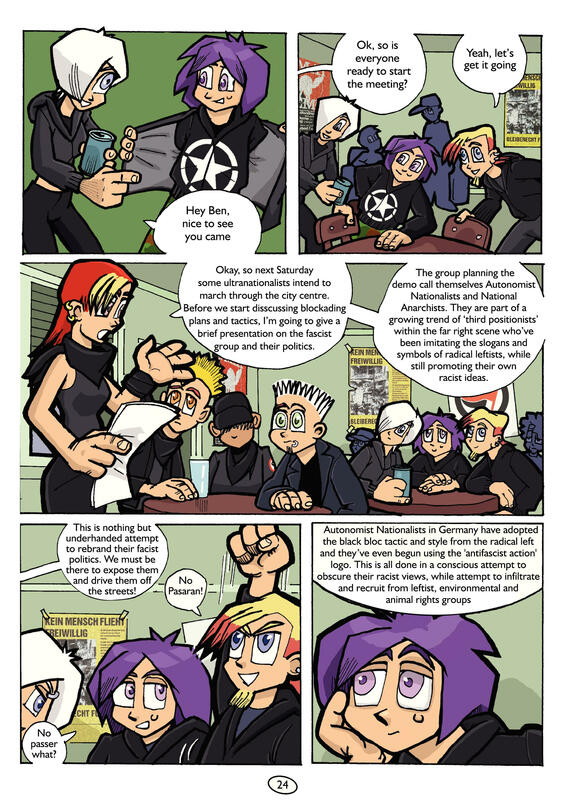 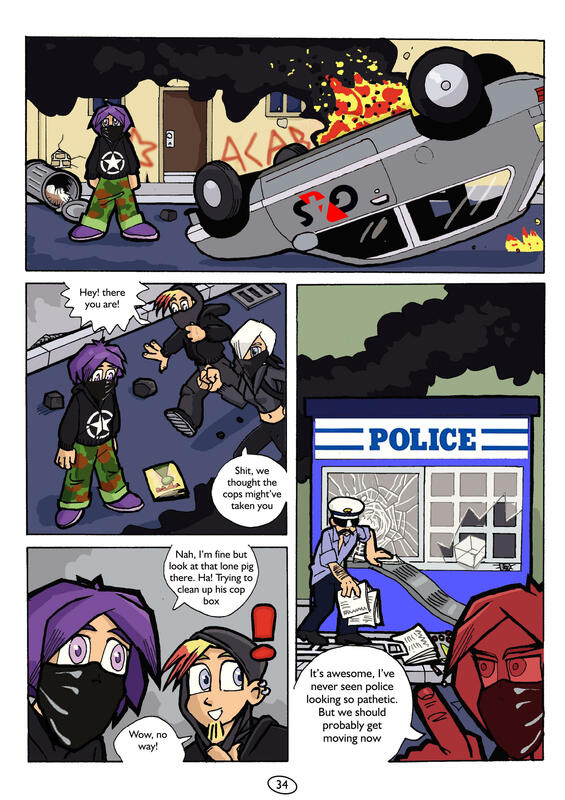 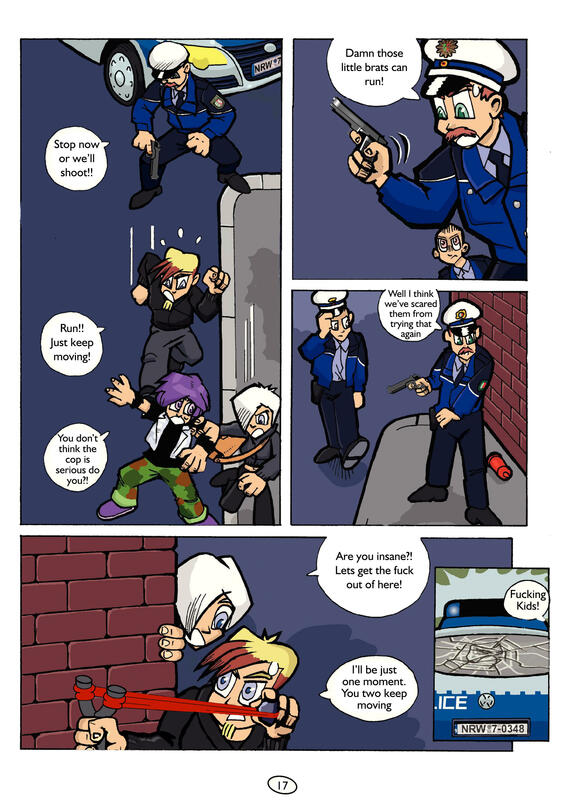 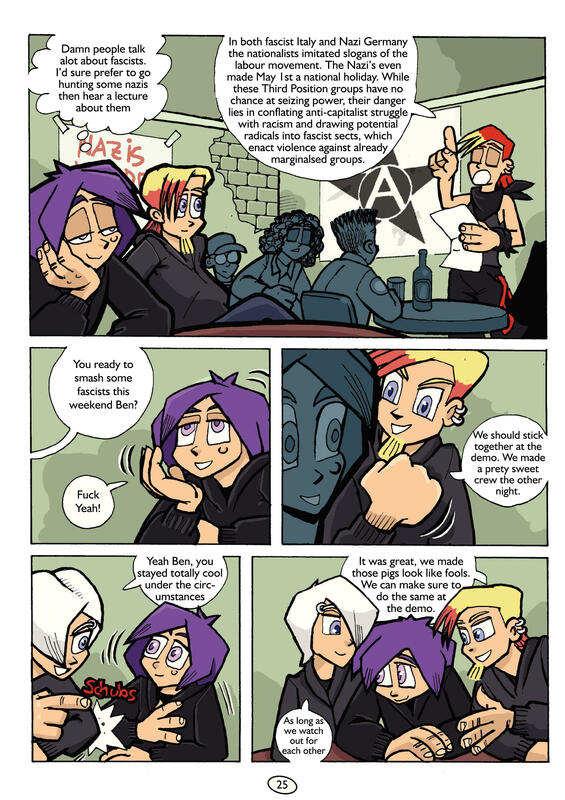 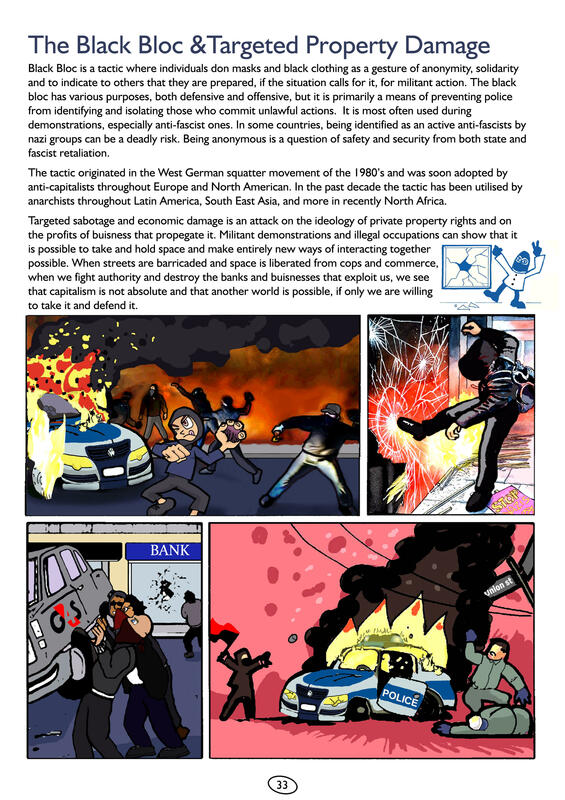 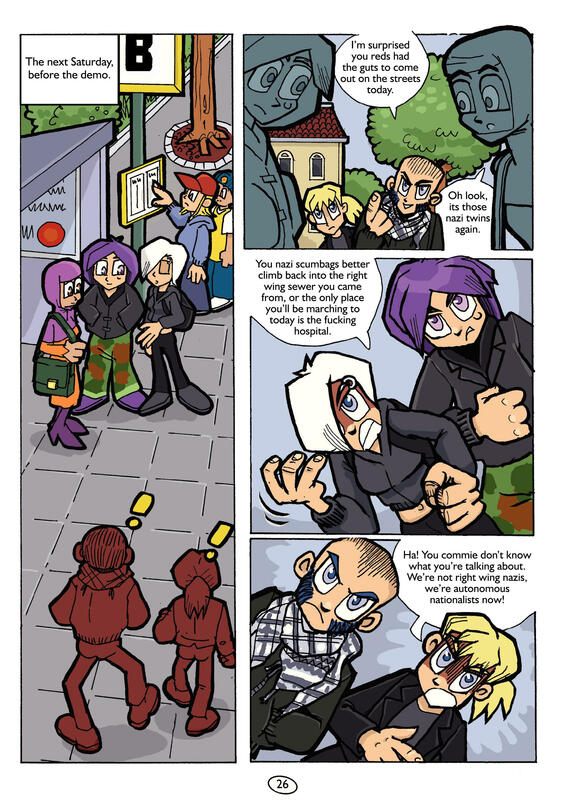 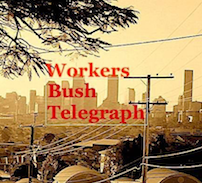 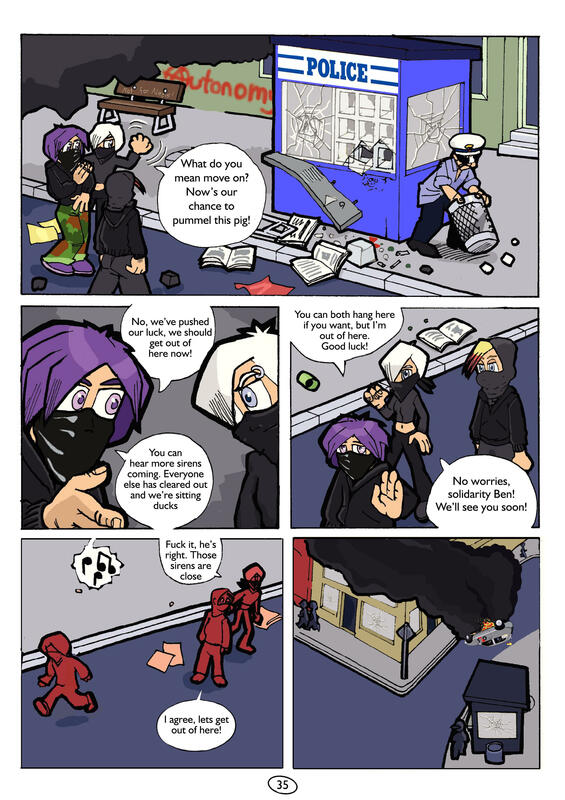 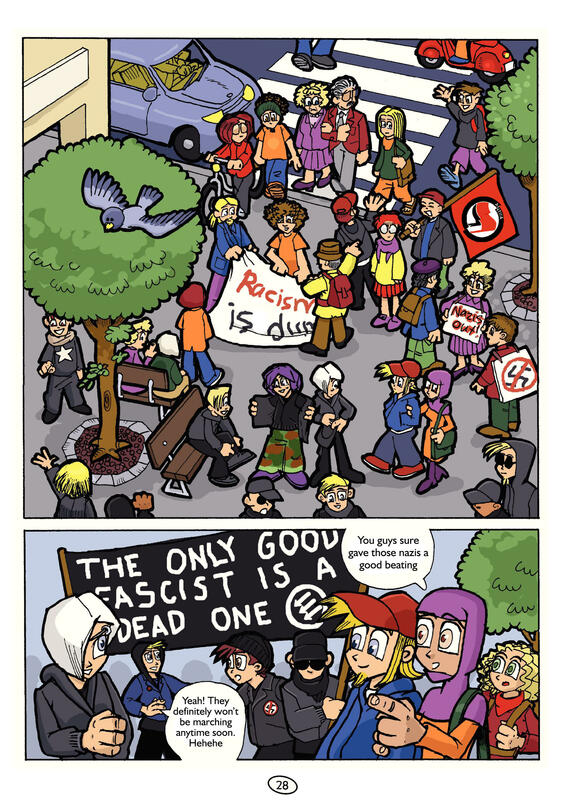 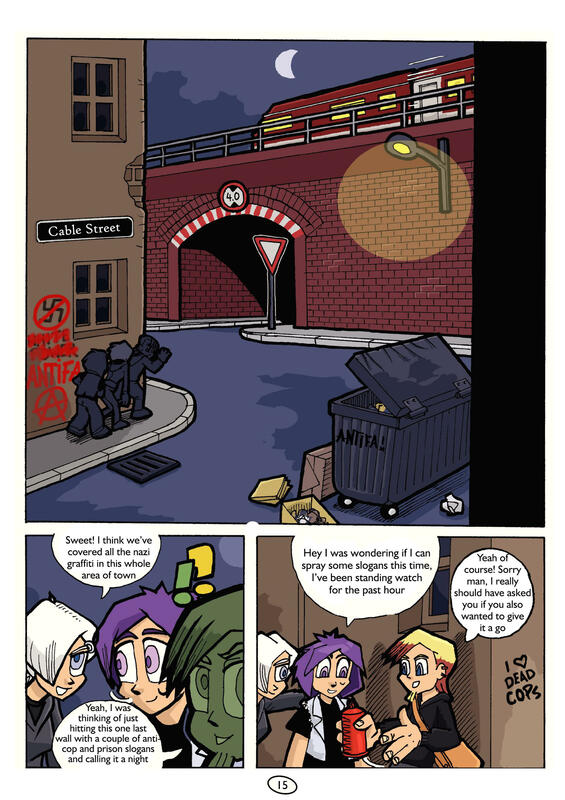 Like the original this comic is intended for a younger: audience and is set out as an introduction to radical anti-capitalist and antifascist activism.